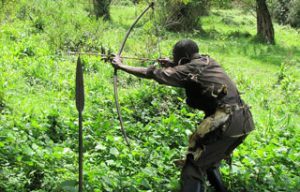 The dense forests at the foot of the Virunga Volcanoes were home to the Batwa people: hunter-gatherers and fierce warriors who depended on the forest for shelter, food and medicine thanks to ancient knowledge passed down for generations. When Mgahinga Gorilla National Park was established, the Batwa were suddenly evicted from the forest and forced to abandon their low-impact, nomadic lifestyle. 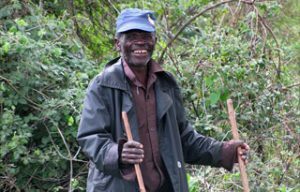 Now landless, they work when they can for local farmers, and the only time they are permitted to re-enter their cherished forest is as tour guides on The Batwa Trail, where they invite visitors to discover the magic of their old home. 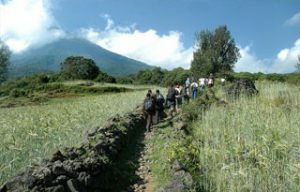 During this moving tour, the Batwa demonstrate hunting techniques; gather honey; point out medicinal plants and demonstrate how to make bamboo cups. 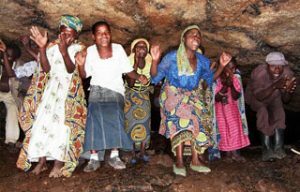 Guests are finally invited to the sacred Ngarama Cave, once home to the Batwa King, where the women of the community perform a sorrowful song which echoes eerily around the depths of the dark cave, and leaves guests with a striking and moving sense of the richness of this fading culture. 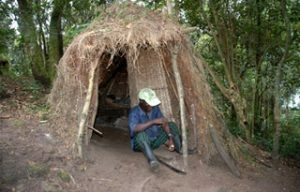 Most Batwa are unable to earn money to provide for their families, as they have no land of their own. Part of the fee goes directly to the guides and performers, while the rest is put into a community fund which will help pay for school fees and books, and purchase land.